With Blackbaud K–12’s Annual User conference fast approaching in July, we wanted to take a moment to thank our Blackbaud Tuition Management™ (formerly Smart Tuition™) customers for the valuable feedback provided at last year’s event and in survey requests. 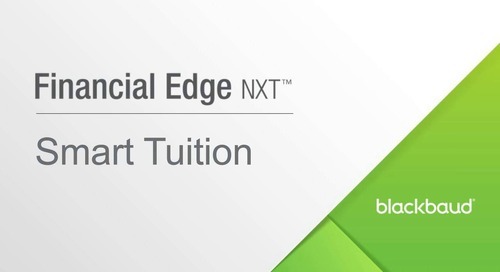 Armed with your input, we’ve worked diligently to transform our Blackbaud Tuition Management product operations. 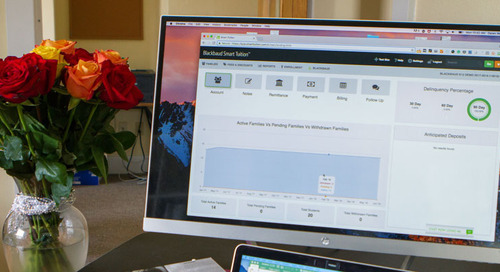 You could say that you’ve helped us get smarter about tuition management. In the wake of the contract integration between our Blackbaud Enrollment Management System™ (formerly onBoard®) and Blackbaud Tuition Management, it was clear that schools needed to consult with specialists who could speak to both products. As a result, we invested in cross-training, creating a new Customer Support team model that has enabled us to better answer questions via phone or chat and provide a rapid response to cases. First on our list of new enhancements is Rate Card, a function that allows school administrators and service specialists to more efficiently bill families for standard tuition, fees, or discounts. The applied billings can be displayed during the enrollment process through EnrollwithSmart.com, and as soon as enrollment is complete they will be posted to a family’s account. The Self-Service Billing Import release is anticipated for July. This feature empowers school users to bulk upload items such as tuition, fees, and discounts to family accounts and have them appear immediately—a giant efficiency improvement over submitting the files to Blackbaud for import. 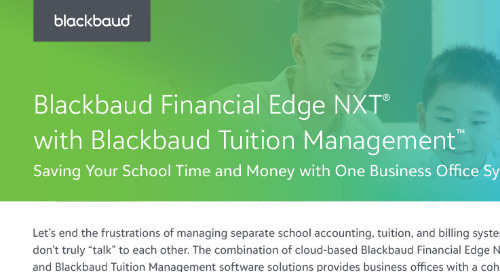 Blackbaud ID (BBID) is another efficiency improvement that will aid administrators who manage multiple Blackbaud products by providing a single sign-on for Blackbaud Tuition Management, Raiser’s Edge NXT, and Financial Edge NXT. Once logged in, a new navigation bar enables admin users to swiftly move between products. We have also created an optional two-step authentication process for an added layer of security on admin accounts. The Banking Update provides a win for workflow productivity. School administrators now have the ability to create user roles for staff to add or update bank information through Blackbaud Tuition Management. When banking information is verified, an email is sent to the school finance user confirming that it is approved, and remittance will resume on the scheduled date. Last but not least, a Shopping Cart update was made that enables schools to track inventory through the manage fees and discount page, as well as limit the amount of an item—such as prom tickets—that can be purchased by an individual student. Purchases also now show for parents and school admins to view on the family’s account and monthly invoices, making it easier for everyone to track and manage payments. As we turn our focus to this year's conference, please keep the feedback coming to help ensure we have more great tuition management improvements on the road ahead. Liza offers her perspective as a former Ashley Hall student. A current student at Lafayette College, she is interning with the Blackbaud K-12 Marketing Group.